Design your own one or two week adventure. 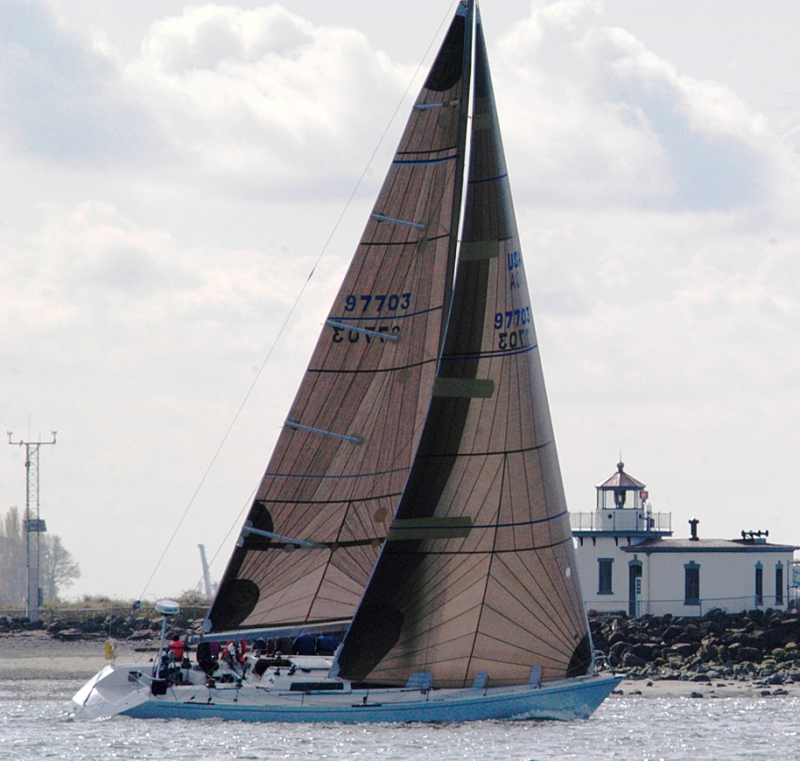 Artemis is a racing boat that provides a comfortable, exciting cruise for up to 8 participants. She has an asymmetrical spinnaker and roller furling jib. She can do 8 knots under power, 9 knots upwind, 20+ downwind easily. The west coast of Vancouver Island or Desolation Sound is in reach of the her home port of Seattle. Artemis has accommodation to sleeps 8. She is equipped with an Espar heater, stereo/cd/mp3 player, Glacier Bay refrigerator, a four-burner stove and oven, and hot water. Sleeps 6, hot water, three burner stove, microwave, currently only available for dock charter in Friday Harbor. The Moore 24 is an ultralight displacement boat perfect for both Wednesday night buoy racing or racing to Hawaii short handed. Evermoore got a second place behind another Moore that won the 2016 Pacific Cup.